It’s that time of year again. Time to look back, reflect, and evaluate a year. Each year I try to highlight the books which stood out as the best. This year my reading was greater in quantity than it has been in recent memory. As a result, my usual 5 best is a top 10 this year. The downside though is that I read more but wrote less. Several of these books either didn’t get reviewed at all, or simply got a few quick observations on Goodreads. But here, they are, the 10 best books I read this year (as in previous years, I am leaving out biblical commentaries). 1. Michael Knowles. 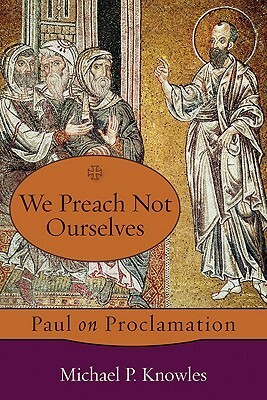 We Preach Not Ourselves: Paul on Proclamation. Michael Knowles was #1 in 2013, and tops this year’s list as well (and he published another book in 2014, so he may top 2016’s list too). Maybe it’s just because I have a bias (Knowles was one of my professor’s in seminary), but I am always amazed by Knowles’ depth, but also his ability to cut through the noise to the real heart of things and “stir the pot” by challenging deeply entrenched assumptions, and exposing the heart of the biblical text and Gospel message. This book is a brilliant study of 2 Corinthians 1-6 which draws out Paul’s theology of mission and preaching. As I was preaching through Galatians this Spring, and doing my personal studies in Pauline theology, this book became immensely helpful in seeing Paul as a preacher and missionary, interpreting in his letters the kerygma he brought to the people among whom he preached. This book should be required reading for those training to preach and lead in the church. 2. Christopher Date, Gregory Stump, & Joshua Anderson (eds). 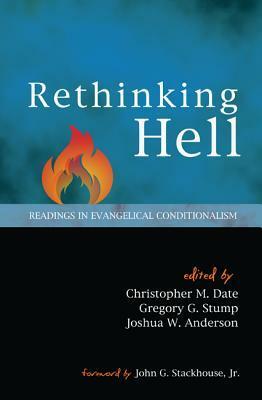 Rethinking Hell: Readings in Evangelical Conditionalism. Again, my own bias is probably showing here. As a contributor to the Rethinking Hell project, it probably seems like tooting my own horn, but I did not have anything to do with the publication of this book. It was completed before I joined as a contributor. This volume contains almost entirely already published writings by influential theologians who hold to conditional immortality, now compiled in one very helpful volume for easy access to the best and most concise (but obviously not most comprehensive) presentations of the biblical, theological, philosophical, and historical evidence pointing to conditional immortality. This top notch publication makes me proud to be part of such an important project which is renewing the reformation spirit of subjecting our doctrine to renewed examination of the biblical text, and continued reflection, and where necessary renovation. Contributions are from top notch scholars like Clark Pinnock, Stephen Travis, Ben Witherington III, Basil Atkinson, John Wenham, John Stott, Anthony Thiselton, and of course Edward Fudge. 3. Richard J. Middleton. 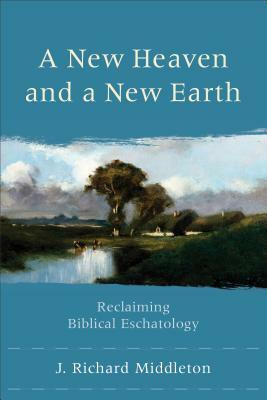 A New Heaven and a New Earth: Reclaiming Biblical Eschatology. I finished this one in August, but haven’t reviewed it. Really hoping to still, as it deserves much attention. Middleton examines common assumptions about the direction of humanity, and criticizes the problematic view of disembodied souls going to heaven. Middleton weaves his way through the scope of Scripture to demonstrate Scripture’s univocal vision of a new (or renewed) creation in which God and man live in fruitful abundance, fulfilling the original vision of creation to be filled, and cultivated for the glory of God. Middleton beautifully demonstrates the biblical vision of the coming removal of the impact of the curse with it’s imposing of divisions and destructive influence into God’s creation, so that the flourishing of restored humanity can be brought to fruition through the redemption of the whole cosmos through the salvific work of God accomplished through Jesus Christ. 4. Richard B. Hays. 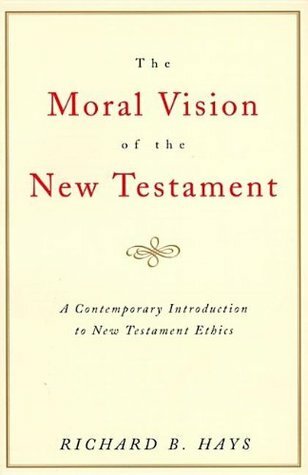 The Moral Vision of the New Testament. A beast of a book, which examines the breadth of the New Testament to provide a grounding for conversations about the manner in which we ought to read the New Testament to establish biblical ethics. How do we read the text in order to be faithful in the midst of difficult ethical questions? Hays suggests reading the text through the three part lens of community, cross, and new creation. In this method we have multiple tasks: the descriptive (what is being said), the synthetic (how does this text relate to rest of the Scriptures), the hermeneutical (how does this text relate to the present situation), and the pragmatic (how is this text to be lived out). Hays’ approach is incredibly helpful to bridge the gap between Scripture’s original hearers and our own cultural/historical position. Few living scholars have the incredible influence and impact which Hays has, and this book is evidence that his position is well earned. 5. N.T. Wright. Jesus and the Victory of God. I’ve been working slowly through NT Wright’s Christians Origins series for a few years now. 2 Volumes are now complete. 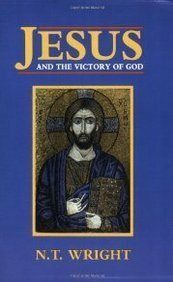 JVG focuses in on the person and work of Jesus as described in the synoptic gospels. Though I’m not sure Wright gets absolutely everything right (I think he forces some things a bit too much into his framework, which may be too narrow), he provides an important corrective, and renews the sense of importance of the Gospel narratives. Wright calls us to view Jesus within the cultural milieu of 1st century Galilee and Judea, and firmly within the murky and diverse world of second temple Judaism. Thus, Jesus is not abstracted, and his teachings and actions are given recovered significance, as they deal with the realities of the folks he rubbed shoulders with, and speaks prophetically to the fulfillment of God’s promise to return to Zion and establish his reign over the whole earth. In this way we see more clearly how those who rejected Christ could get enraged to the point of seeking his death, and how his work could be spun to justify Roman execution, and we also see how Jesus’ first followers would understand the death and resurrection of Jesus. 6. Gustaf Aulen. Christus Victor. A seminal work on the history of atonement theories. Aulen tracks through Church history to unpack the way theories of the atonement developed over time, from what he calls the “classic view” (Ransom/Christus Victor, in e.g. Irenaeus, Athanasius) to the “Latin view” of Anselm, Aquinas, Melanchton, etc., followed by the introduction of the subjective view/moral influence of folks like Abelard. 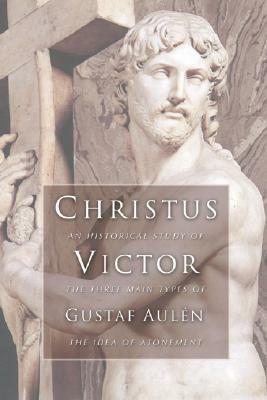 While Aulen has been criticized by some, including Ben Myers, and to some extent, justifiably so, his work is a very important one in helping us see beyond protestant assumptions of atonement to see that early Christian history understood the work of Christ very differently, and we ought to take seriously the evidence that shows that historically speaking, Anselm, Aquinas, Calvin and others in the satisfaction/penal substitution tradition are actually novel and innovative. 7. Richard Bauckham. 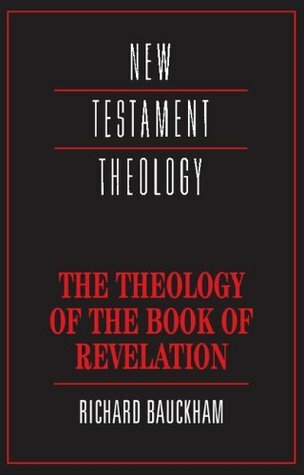 The Theology of the Book of Revelation. A short, but incredibly incisive read. Bauckham is a master of Second Temple Jewish and early Christian apocalyptic, and so he is perhaps the best person to write a book like this. By correctly locating and describing the genre of Revelation, Bauckham is able to correct the excesses of many modern readings of Revelation which create weird “history in advance” readings which seek to identify the contemporary person(s) to be identified as Babylon, the Beast, etc. Bauckham has given us a guide to reading and interpreting the symbolic world of John and his vision, and as a result to understand the theology behind this book, which can be skewed to make God vengeful, bloodthirsty, and capricious. Instead, through careful examination we see God remaking the world, saving through the slaughter of the Lamb, and the word of testimony about him. 8. John E. Goldingay. The Theology of the Book of Isaiah. When it comes to Old Testament, John Goldingay is perhaps the go-to scholar (in my humble opinion). He has worked with Isaiah in particular detail for decades, and this short but dense read unpacks the structure and theological themes of the lengthy Book of Isaiah with impeccable precision and insight. Boiling the 66 chapters of Isaiah down to 150ish pages is no easy task, and one would expect much to be left out of such a book, but this volume does not leave me feeling deprived of much, if anything. This is an invaluable tool for anyone thinking of, or already started, a study of Isaiah. 9. Philip B. Payne. 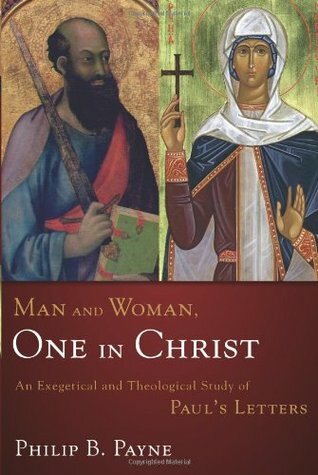 Man and Woman, One in Christ: An Exegetical and Theological Study of Paul’s Letters. After 30 years study into manuscripts, lexicons, historical studies, and the Greek text of Paul’s letters, Payne gives us the full breadth of his studies in what is perhaps most comprehensive study of gender in the letters of Paul from a conservative evangelical egalitarian scholar. Payne works his way methodically through the problematic texts of the Pauline corpus, tackling the challenges of patriarchal readings head on, demonstrating that the evidence simply does not support complementarian and patriarchal conclusions which place men in a position of headship/authority over women in marriage or in the Church. Payne shows conclusively that Paul does not exclude women from holding any office of the Church, but supports the full inclusion of women, as the gifts given by the Spirit warrant, to teach, preach, lead, pray, prophesy, and have authority. 10. Eugene Peterson. 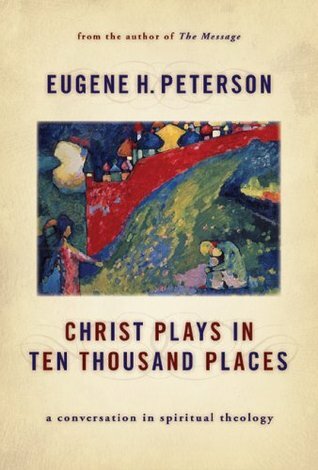 Christ Plays in Ten Thousand Places. Eugene Peterson is probably best known for his paraphrase of the Bible, The Message, but Peterson is a master of spiritual theology- the art of bringing prayer, worship, faithful obedience, and Scripture reading together. His 5 part series on spiritual is a monumental work of unparalleled significance in the field. It is a series which has been worked through slowly (I’ve made it through 2 of the 5 so far) and this first installment in mind boggling in it’s ability to draw you into place where Jesus words cut to the heart of who you are, how you live, what you prioritize, and then rearrange the whole thing in front of you. Peterson has the ability to cut you apart, shake you up, and put you back together again in a whole new configuration with his words. He can bring together the prophetic and the pastoral in one swirling dance which is dizzying and disorienting but also comforting and encouraging. This entry was posted in books, discipleship, egalitarianism, ethics, gospel, history, Isaiah, Jesus, Kingdom of God, New Perspective on Paul, New Testament, NT Wright, Old Testament, Paul, practical theology, reflection, Stuff I Like, theology. Bookmark the permalink. As it turns out I have three of these. Bauckham’s Theology Of Book Of Revelation was somewhat of a handfull for a third pew left fellow, so it’s back on the shelf. Sometimes it’s a matter of where the reader is at the time and I’m sure I’ll be dusting it off later. Rethinking Hell’s format is such that it can be read by cherry-picking chapters, so I may have missed a small portion. Middleton’s New Heaven And New Earth held my attention fast from start to finnish. Yes, there are some middle chapters that deal with detail that may not be as riveting, but overall, this is one book I’ll be remembering for a long time, probably in retrospect as a personal course changer. Added Goldingay to my wish list. You’re right, Bauckham is a bit more scholarly than some of these. 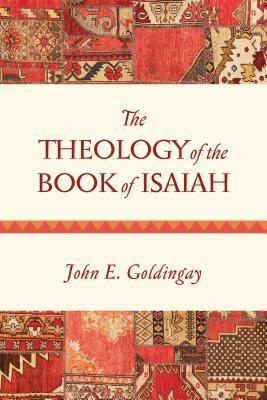 Goldingay’s book on Isaiah is quite a bit easier. Definitely worth reading.